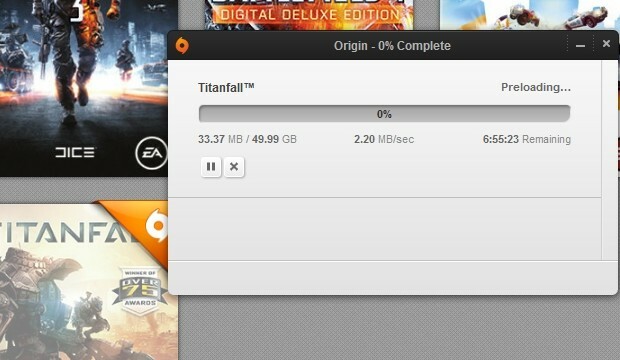 It’s official, preloading of Titanfall has begun for PC gamers through Origin. The download size is a rather large 49.99GB, approximately 1GB higher than the previously reported 48GB installation size. For those wondering what the benefits of preloading are, Titanfall will be ready for you to play once the clock strikes midnight on the day of release – it doesn’t mean people get to play the game early.